The Hudson Report: Does Trump Know Anything About Trade? Left Out, a podcast produced by Paul Sliker, Michael Palmieri, and Dante Dallavalle, “creates in-depth conversations with the most interesting political thinkers, heterodox economists, and organizers on the Left.” The Hudson Report is Left Out’s new weekly podcast series with economist Michael Hudson. Transcript of this April 9 interview by Dante Dallaville was provided by Michael Hudson and first published at Naked Capitalism. In this week’s episode we talk about the so-called “trade war” developing between the United States and China. Paul Sliker: Professor Hudson. Welcome back to The Hudson Report. Paul Sliker: So the latest breaking news in economics… Washington vs. Beijing. Xi Jinping vs. Donald Trump. A trade confrontation between the two world’s largest economies. China recently responded to President Trump’s initial threat of imposing massive tariffs on imports–namely a 25 percent tariff or $50 billion in levy announcements on agricultural and manufactured products–by dismissing this threat and not capitulating to Trump and his trade team. Instead, China introduced plans of their own to impose tariffs of 25 percent on 106 types of U.S. products worth $50 billion including soybeans, aircraft and automobiles. On Thursday this dispute escalated further after Trump threatened China with $100 billion in additional tariffs on imports. Beijing responded much tougher and quicker than most people in Washington and in the press even expected. The spokesman for th Ministry of Commerce for China was quoted on Friday saying, “China doesn’t want a trade war, but we’re not afraid to fight a trade war.” They reiterated that China will use any measure to fight back and will not exclude any option. And you know, Michael, we see all the buzz in the headlines of the major financial press and news networks. Things like, “Trump’s tariffs gamble with China could be catastrophic for the economy.” Some are surmising that this could be very detrimental to his own presidency and the entire Republican Party. It’s also been upsetting financial markets to some degree. All this is predicated on the idea of “unfair trade” practices or “unfair competition” between China and its competitors. So what exactly is going on here from your perspective? Can you give us an idea of what exactly “unfair competition” is from both your vantage point and that of China’s competitors? Michael Hudson: You’ve asked two questions, and I’ll answer them in order. I think that Trump is somewhat out of his league in trying a “good cop/bad cop” bluff by putting a lot of nationalists around him. It is as if he thinks they can make a threat that is going to force China to give up its economic planning. What America is trying to do is push a dual standard on the world, just as it did repeatedly in the 60s and 70s: free trade for other countries, protectionism for the United States alone. Your second question is about how to define unfair competition. From the point of view of a free-market neoliberal, a mixed economy is unfair. Trump considers it unfair for other countries to have public infrastructure investment to lower their cost of living and doing business. But that is exactly how the United States, Germany and every other leading industrial nation built up economic power in the 18th, 19th, and 20th centuries. What China is doing is what U.S. economic planning did in the late 19th and early 20th century. The government is investing in roads, education and basic infrastructure to provide key services at subsidized prices or freely. The objective is to minimize the cost of living and hence the basic wage level and other costs of doing business. America was able to outcompete with England and other countries by having subsidized education. We built roads, we built huge infrastructure, and the Internet was basically developed by government and turned over to the private sector. America’s pharmaceutical patents basically were developed by government laboratories and turned over to the pharmaceutical companies. But when China provides public support for its own economy, America says that’s unfair: You have to privatize everything, you have to tie your hands behind your back by turning China into a Thatcherite economy. It should operate all of its basic public services for profit. That obliges it not only cover its costs of production, it also is supposed to financialize by taking on the cost of credit and borrowing. The basic model is what the British water authorities did with their huge debt leveraging and interest charges. That would make China so high-cost an economy that America’s subsidized economy could undersell it and make it dependent on U.S. foreign policy. That’s basically what Trump’s saying to them. You can imagine China just laughing. Paul Sliker: Michael, what exactly is “unfair trade”? I mean we just got into what “unfair competition” is, but what is unfair trade? Michael Hudson: The way Trump talks “unfair trade” is running a trade surplus with the United States. But remember, the United States is a heavy foreign investor and creditor. That means there’s a huge remission of profits to the United States on capital account. There’s a huge remission of debt service and profits from other countries to the United States. So the United States provides other countries with the money to pay their debt to the United States by running a trade deficit. Let’s assume for a minute that the United States had a trade balance with every country – which is what Trump said bilaterally he wants to achieve. If the trade is in balance and America has a huge balance of payments surplus from all the debt service that countries owe in dollars – plus a huge remission of profits by American companies that have bought out foreign industry – then the dollar’s exchange rate would soar. As the dollar went up in price, that would mean that third world countries and Asian countries whose international debts are denominated in dollars would have to pay much more of their exports. That means much more of their labor to buy the high priced dollars to pay the debts they owe the United States and other creditors and remit profits on U.S. investments. So what Trump is asking for is mathematically impossible without a global debt and monetary crisis. His demand for trade balance would price almost all American industry and agriculture out of world markets. It would force other countries to become independent in their food supply and just about everything else. It would be exactly the same balance-of payments tangle that occurred in the 1920s that broke down as a result of the Inter-Allied debts and the German reparations. My textbook on Trade, Development and Foreign Debt is all about that debate. John Maynard Keynes said that if you’re going to insist in debts being repaid to the United States by the allies for World War I, you have to provide them with the money to pay. That means you have to open your markets. By importing more, you’ll provide them with dollars so that they can pay you. There’s a circular flow. But Trump has no idea of how this circular flow works. He confuses the balance of payments with the balance of trade, and says it’s unfair for other countries not to agree to drive the world economy bankrupt. He doesn’t spell it out, but that would be the result. Paul Sliker: So it’s economic illiteracy at its worst. Michael Hudson: Well the reason the market is going down is that many American investors have invested in China. We run a trade deficit in China, but we also receive a lot of payments fromChina via the American financial institutions and business investors there. Let’s say Walmart imports goods from China – $100 dollars worth of imports –maybe only $50 of these $100 (only half) is actually paid for, because the rest is kept here as profits on this trade. Of the remaining $50, maybe $25 consists in raw materials that China imports to make its exports. So what appears to be a trade deficit with China isn’t really paid to it in the end. That’s part of the fictitious gross national product (GNP) accounting that has twisted around the balance of payments analysis in a kind of “as if” misleading bit. I go into this in my trade theory books. It’s hard to explain the tangled accounting that is glossed over in the press without spelling out the circular flow. That’s why the press dumbs the issue down, and Trump gets this dumbed-down version from TV. Paul Sliker: Right. And I think in a future episode we need to go a bit further into this. But Michael, the lay person who doesn’t really have time to dive deeply into what all this means…they see these headlines flash across their TV screens, they pick up their daily papers, or scroll through their social media feeds, and they see these two superpowers exchanging language like “war,” “battle” and “standoff” when it comes to this trade situation. To the average person, that might appear kind of frightening. I can imagine anyone seeing these two powers go at it with each other with this type of language and I’m sure it’s concerning to some degree. So what are we looking at? What can China do? Are we looking at an actual trade war like some press and pundits are suggesting? What can China do and what do you think is going to happen here? Michael Hudson: First of all, it’s not two powers going against each other. It’s one power, the United States, going against China. China has not made any attempt even to reply, because it says there have been no negotiations or discussions with the United States. What Trump says is: America is becoming dependent on China and it’s threatening the American way of life. He’s defined that as a threat to American dominance. By “dominance,” Trump means making other countries dependent on the United States. It means other countries letting the Americans monopolize all the high productivity, high technology, and economic-rent yielding industries, so that we [the United States] can get all the profits. They are supposed to produce the raw materials and manual-labor goods for us, and serve as customers, but we will be in control so that if we don’t like China we can do what we did in the 1950s and 1960s and suddenly stop exporting to them. America can threaten to starve them if they don’t follow the policies its trade strategists want. That’s what it did in the 60s when Canada broke the U.S. sanctions and exported wheat to China to save it. This idea that other countries are threatening our ability to strangle them is so perverse and so basically asymmetrical and evil that it’s jaw dropping! They’re not going to be dependent on basic needs on U.S. suppliers because the U.S. can do what it’s doing to Russia or Iran, and did to Cuba for years. It can impose sanctions on basic needs that people must have to survive. What China can do is simple. First of all, it realizes that America wants to make it dependent on the United States, and wants to buy its commanding heights but won’t even let China buy gas stations here. So it’s trying to achieve its own economic independence so that no other country can suddenly threaten it with sanctions such as has hurt Iran, Russia and other countries. In terms of what you just read in the newspaper, it can say: OK we’re going to put tariffs on soybeans. Now let’s look at what’s already happened. Soybean prices have gone down I think 3 percent in one day. That’s a huge amount of drop. soybean prices are going down because the markets think that if Trump really follows through with his threats, not just bragging, then China won’t buy soybeans. This will cause a soybean oversupply. China must be overjoyed with all this! Because it doesn’t really think that America would dare have a trade war that it would lose. But if Trump does try to go this route, China can buy soybeans much cheaper! Because the soybean farmers and markets areso afraid that it will to retaliate that it can buy food cheaper as a result of the low soybean prices. So China can talk strong and then make contracts to buy soybeans more cheaply as the market fears domestic U.S. oversupply. Suppose the United States imposes a 25 percent tariff on goods that China is sending to Walmart. China can impose export duties. It can say, “If the United States government is importing so cheaply that there’s room for a 25 percent import tariff, we’re going to put a 25 percent exportduty, so that we’ll get as much revenue from this private sector trade as the U.S. government is getting. Of course, that will vastly increase the price to American consumers. You can imagine the political response here. Paul Sliker: I was just going to follow up on that point, Michael. Looking at this through the lens of the average American watching this story. I think you might have just answered a little bit there. What could this do to the average American in terms of the price of goods, or even in terms of jobs? It might have an effect on work and labor. What sort of outcomes could you see play out? Michael Hudson: The trade flows have established such a mutual dependency that if there’s any kind of a trade war or interruption of trade or tariffs, then consumer prices for the goods subject to tariffs are going to go up. Trump has tried to avoid imposing tariffs on consumer goods because he realizes that that’s unpopular. So he’s put them on producer inputs. He’s raised the tariffs on goods that American manufacturers need like steel and aluminum for starters. What that means is that there will be a world oversupply of steel and aluminum for rival manufacturers in other countries to enjoy. So what Trump is doing by his tariffs is to make America a higher-priced manufacturing country relative to other countries. He’s giving the rest of the world – Europe and Asia – a cost advantage over American producers, at the same time he’s raising the cost of living for American consumers. So the effect of what he’s trying to do is to be to make American workers earn less and consumers pay more. Paul Sliker: Michael, I want to close this week’s ‘Hudson Report’ by asking you, as an expert on trade and tax policy and someone who has advised several governments around the world on these policies, what is your idea of or proposal for a truly “fair trade” system? Michael Hudson: Oone of the problems is what Trump has pointed to: intellectual property rights. What that means is monopoly rights. I think that domestically, most countries have rules against monopoly pricing, because it’s unfair. Monopoly pricing is charging something for nothing. It’s much more than you actually need to pay. Some of the worst examples of these intellectual property rights are pharmaceuticals. I think that patent rights support this rent extracting system. So I would like to see an international trade rule that opposes monopoly rent extraction. No patent or intellectual property right would be recognized as being legal under international law if it produces a super-profit for a product that other countries can make with the same technology. Technology for making drugs and for making pharmaceuticals and for making basic needs should be available to everybody. Just doing it first should not be allowed to make other people dependent because of a monopoly privilege. Ironically, it was Walt Disney that’s been pressing to double all of the patent right time periods so that they can keep Mickey Mouse and the movie rights. So some intellectual property rights like Walt Disney are going to make super profits like Hollywood films. My anti-monopoly rent rule would apply largely to pharmaceuticals and basic needs for key producers whose only function is to maintain their monopoly rights to extract unfairly high prices from foreign countries dependent on these needs. Fair pricing would be when countries sell, as they say in the textbooks, at the actual cost of production without special monopoly privileges such as the United States wants to build for its own exports, while wanting to block other countries from doing the same thing. Paul Sliker: Well we’ll be tracking this story closely Michael. I’m sure we’ll have another opportunity to discuss this soon, as I don’t think the story will be going away. But Professor Michael Hudson we will talk to you next week. As always, thank you very much for joining The Hudson Report. Michael Hudson: Well, it’s good to follow the news this way. This entry was posted in China, Economic fundamentals, Free markets and their discontents, Globalization on April 11, 2018 by Yves Smith. Does Trump Know Anything About Trade? You’re asking this about a man that has all the intellectual curiosity of George W. Bush? Of course, according to himself he is probably the smartest person in the entire world. Which he proves daily on Twitter. 1. We don’t need no stinkin’ maths. 2. Never let a good global crisis go to waste. 3. Federal Reserve balance sheet normalization will continue until recession reduces the trade deficit. We got to have some patience, after all Trump probably learned macro economics from WSJ, NYT, FT and so on and not least main stream economics. Don’t they say that deficits are evil, dangerous and very, very bad? Even almost a Religious sin. He just acting on what the average western citizen have been economically “educated” daily for the last 3 decades. Why aren’t Krugman et al happy with this astute pupil? Deficits are terrible, horrible, no good, and very bad … even in Australia. You’re joking, right? Trump’s understanding of economics begins and ends with whatever Lou Dobbs happened to say today. But its probably not good to give up your industrial productive capacity and knowledge in the long run, just because your vassals are willing to do it for free (in exchange for “paper” money created out of thin air) in the short run. As long as the currency are “good as gold” on the global market it gives them financial muscles and when it goes down they have the productive advantage. I think the parallel with post war US are wrong, US wasn’t a developing nation then and it was already then operating globally in its own currency, nothing China can do. For China this make sense now, they build up industrial knowledge and can shop with globally accepted USD. Economics can’t be isolated from politics and power struggle. All economists (including MMT:ers) seems to ignore the advantage to be the producer of a global accepted currency. But why is an industrialized mature region as most of EU/EZ act like China? In EU the result is the rich get richer and the poor poorer. EU don’t need US-dollar to be operational globally. Trying to submit this again. Sorry if this is a repeat. So the enemy is … us? US corporations are pumping profit in China, and they in turn need to pump that out of China (in the form of US dollars). One can almost imagine US corporations setting up ancillary biz in China: export biz to export Chinese goods to US to get the US currency to repatriate back to the US. Oy! Of course it doesn’t really work that way. Rather it’s that Chinese exporters are importing US dollars and those dollars are sold for yuan and it turns out that US corporations in China are buying those dollars with yuan to repatriate back to the US. Thereby keeping the peg. In fact, I guess an argument can be made that it’s the US corporations themselves that are keeping the peg. They must be fitting their purchases of US dollars as needed to make sure the peg doesn’t get too far out of whack. Again, Oy! Do we know for sure that the trade deficit with China can be fully explained as US repatriation of profits? I can imagine there’s other competition for US dollars in China as well, besides importers of US goods and besides US corporations wanting to repatriate profit. For instance, what about FDI (foreign direct investment) by China in US? Flipping this around, the PBoC was going gangbusters in FDI for many years, buying US bonds (with the dollars they bought using the yuan they printed). I guess one can say the PBoC primed the pump to peg their currency in the first place. But now other players have picked up the slack as the PBoC has pretty much retired in doing that. So is it just US corporations who are picking up that slack? Or are other entities in China picking up that slack as well? If it’s other entities in China, their purchases of US dollars must be showing up as FDI, but I haven’t been able to find that showing up in numbers. – US corporations with a presence in the US get to outsource their supply chains to China because the peg there keeps their currency cheaper than the US dollar. It’s not that their workers are cheaper than US workers. Rather, it’s the demand for dollars from US corporations there that is making it more attractive to outsource supply chains there. – The US corporations in China buy a healthy chunk of those dollars to repatriate back to the US as profits. – The greater the increase on one side of this equation, the greater the increase that’s necessary on the other side of this equation. That (public support for its own economy) would make China so high-cost an economy that America’s subsidized economy could undersell it and make it dependent on U.S. foreign policy. 1. Even if the US were to halt and reverse its privatization of the public sector, would that be enough to allow it to compete with much less expensive Chinese labor and the willingness of the Chinese government to allow environmental destruction that at least prior to Trump no Republican would have publicly supported? So what Trump is asking for is mathematically impossible without a global debt and monetary crisis. 2. This almost sounds like an apology for the Super (monetary) Imperialism that provided my introduction to the work of Dr. Hudson. Even with “a huge remission of debt service and profits from other countries to the United States” I am guessing there is still a balance of payments(?) deficit for the US. But even if there wasn’t would this constitute a huge fraud on both the US and ultimately Chinese people – US and Western investors privatizing the profits from off-shoring while ‘socializing’ the losses via the accumulation of US and Western government indebtedness? As a matter of law, aren’t ‘the people’ of a supposedly democratic government responsible for the debts of that government? And aren’t the Chinese and others just accumulating “debts that can’t be repaid (and) won’t be”? Treasuries are considered USD Interest Bearing Accounts by MMT, and the US FED will willingly exchange Treasuries (Interest bearing accounts) for USD (Non Interest bearing accounts), at a few striled of a keyboard. Thus they are debts owed by the USG Government to itself – which are not debts, because one cannot owe oneself money. This answer sounds like it might satisfy a lawyer but I doubt very much it would satisfy a foreign holder of US debt. The bearer of US dollar-denominated debt almost assuredly expects to be able to eventually exchange that debt for real wealth. To some degree they are already doing that, if not for gas stations then for real estate along the US West Coast. Converting the dollar-denominated debt to USD (Non Interest bearing accounts) doesn’t change the essential nature of the monetary sums involved as a claim against US wealth. China holds its FX reserves as Treasuries. Japanese financial institutions continue to hold Treasuries, in massive quantities, since the 1980s. People hold stocks, which are a weak and ambiguous financial promise, and don’t expect to convert them into “real wealth”. I believe China has been ‘de-dollarizing’. It accumulated its FX reserves as a bi-product of its currency peg with the US dollar – as well as perhaps to protect itself from the depredations of currency speculators like George Soros. You could probably add US Treasuries – in fact move them to the head of the list. The antics of the US Congress not withstanding those Treasuries still have the reputation as the world’s safest debt. And debt is what the world’s money worshipers apparently want. This may explain why Old Europe and Japan remain essentially US colonies more than 70 years after the end of WWII. Soddy was analyzing the causes of WWI when he wrote: “The modern wars that break out between industrialised nations have a precisely parallel explanation . Then the belligerent nations rather than individuals shoulder the debt. US politicians and bankers, as Hudson documents in Super Imperialism, discovered more or less by accident it was DEBT its own and the world’s oligarchs wanted, not products designed to fall apart as rapidly as possible so they could keep adding zeros to their bank accounts. Just pair money, a military industrial complex and the “exorbitant privilege” of reserve currency creation and a crazy world begins to make sense. By the way, this explains what could be the primary motivation for indebting other countries in debts denominated in the US dollar instead of their own currency. It requires that they too find a way to import US dollars. Which means that they too establish themselves as part of the global supply chain, serving the corporations in the home country that they’re indebted to. Either that, or have a plain ol trade imbalance in goods and services. Same diff. On a related note, the dollar as petro currency has nothing on these “trades”. Because at least with petrol, there’s an actual exchange of a good: if a country wants to import oil, they need to export other goods to pay for that oil. Fair enough. It’s the financialization of trade (repatriation of profits, repatriation of debt payments) and the “balancing” of that with the outsource of jobs through the global supply chain that seems to be making the world go round now. And when they come in foreign debt problem white knights from WB and IMF come to rescue with Washington consensus dogma and forbid them to even think of using their own currency for domestic affairs. All in all economics are a failed “science”, or as Trump probably would say at shithole science. So if someone could help me out here. What Professor Hudson is saying in part is that the trade deficit isn’t really a deficit because the “United States is a heavy foreign investor and creditor”.That means there’s a huge remission of profits to the United States on capital account” that balances the trade payments out to some (?) extent. If so why does China have so much excess $ to buy treasuries then? And who are those $ going to, certainly not the people whose jobs were shipped overseas. So to me if so, that means that as US consumers buy goods from China, we are paying off investors here in the US. I’m assuming those investors are the wealthy and not so much US taxpayers. So in other words, by buying Chinese goods we are providing more income for the wealthy. Sounds like a lose-lose for the those of us not at the top. I am not an economist but I think you are correct. Here is the key phrase from Hudson: “We run a trade deficit in China, but we also receive a lot of payments from China via the American financial institutions and business investors there.” The beneficiaries are not us (us being the non-wealthy). China receives dollars from other countries than the United States. Many of the dollars thrown off by US military spending in Asia end up in China. And of course, China also runs a surplus with many countries, providing it with dollars — in addition to receiving US $ inflows from investors. Thank you for your reply, an added piece to my puzzle. When you trade consumer goods for financial assets you create asset and debt bubbles. When you trade with foreign entities that pay workers in another currency besides dollars, you create the financial bubbles faster. This all makes sense, in theory. Here’s my non-economist question, or puzzle. Granting that all Prof. Hudson says about trade, deficit, and reserve currency is true now, I’m left with some coincidences or correlations that seem, uh, troublesome for US worker and non-global mid-sized corporations. 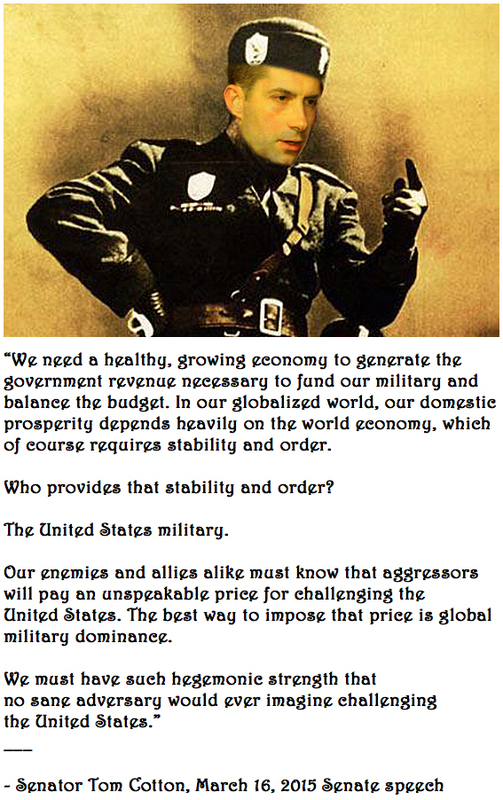 The entire U.S. balance-of-payments deficit in the 1950s and ’60s, into the early 1970s, was military in character. I provide the charts in Super Imperialism, based on my work at Arthur Anderson on the U.S. balance of payments. (the monograph is on my website.) The private sector was in balance exactly. 1975 US changed how foreign affairs was accounted for. Critics did say it was a way to hide balance of payments deficits. There was some “conspiracy” theories then that the hefty hike in oil prices then was a way to empty out accumulating piles of USD in European central banks. One of the big conflicts preceding that was the conflict with France and De Gaulle, they constantly claimed their right to exchange USD for gold. He did also threat to use the piles of USD in the central bank to buy US companies and assets at bookkeeping value. De Gaulle was out maneuvered by more US friendly intersts. pushed a credit policy and a budget policy that has allowed Americans to simply put their banknotes in a quantity, which – because of their own efforts – has swarmed all over the world and blown up the balance sheets of the international credit system, and at all created the market known as the euro market and which is not subject to any rules. It is simply dependent on what these dollar holders consider about the fate of the dollar (…). With these dollars, Americans have financed their troops in Europe, whose presence has been of great benefit to NATO and the continental countries from a security point of view and eliminated military spending for these states. The Vietnam War has also been funded with these printed banknotes. The Americans also – and perhaps from our point of view, ASEA’s point of view is the worst – acquired major industrial companies and trading companies, especially in Europe. With their own deficits in the balance of payments, they have acquired European assets in industry and commerce. When finally the dollar could do nothing but devalue, it became apparent that people who had money in dollars started selling them. The pressure came upon the Germans, as you all know, and then it has gone on. And then the currency exchanges were closed (…). The American attitude has stiffened to such an extent that the Americans simply said that this is a European problem and not at all an American. It can not accept Europeans, because the problem has been developed by US credit and budget policies. One simply wants the Americans to manage their finances so that the economy, which in America has all prospects of flourishing, should be able to develop in such a balanced way that confidence in the dollar returns. Until then, Europeans have demanded that Americans change their fiscal policy, its fiscal policy at all and perhaps also its customs policy (…). Anyhow the problem with accumulated USD in European central banks did come to an end when the oil tab skyrocked and the USD moved to the Gulf. Running a trade surplus means that overall, you are profiting off another nation’s aggregate demand. Running a net deficit means that overall, overall, other nations are profiting off of your nation’s aggregate demand. Aggregate demand is basically consumer demand for products and services. For example, if I want to buy food, or say, a computer, I am creating aggregate demand. It’s also why inequality is a really bad idea. The rich create less demand than a large middle class (Ex: one person can only eat so much no matter how many billion dollars they are worth). Right now the world is suffering from an aggregate demand shortfall due to inequality. The reason why aggregate demand is so important is because that is what creates jobs (and not say, tax cuts for rich people). I wanting food creates jobs for my local farmer’s market, the farmer, and all the intermediaries (like the automobile company that makes the farmer’s means of transport and farm equipment suppliers for example). So as a result, my farmer has a job, the people who set up the farmer’s market has jobs, and the people working for companies that supply farmers have jobs too. In a trade surplus, you are gaining off the other nation’s aggregate demand – so you get some jobs from the other nation’s aggregate demand. As you can see, a surplus can be advantageous in this regard. It can lead to more jobs for your nation. That is in part why the economy for the US was better in the 1950s and 1960s. The other reason why this surplus is useful is because there’s a lot of know-how. Building cars, farm equipment, and whatever is a skill. The more you build, the better you get at it. If you have an advantage in what you know over other nations or if another nation is totally dependent on you for something (like say computers or cars), that gives you leverage. I don’t completely agree with you although you make some good points. The surplus that China has with the US does not solely benefit China. It is created because American companies manufacture products in China which are then imported into the US. The biggest beneficiaries are not the Chinese companies or the Chinese population but the American companies and population. An iPhone X costs $600 to build, netting Apple a profit of $20 billion in the first quarter of sales alone. Sure, this profit is largely kept outside the US but that is not China’s fault. It is not even possible to make an iPhone entirely in the US without any Chinese or foreign parts whatsoever. The rich (although you didn’t define what that means) may not directly create all demand but indirectly they do, because they employ a large amount of people that create the direct demand. It is true however, that the largest share of aggregate demand for domestic products is created by the middle class. More importantly, there is an even larger group with the same demand, but without the means to buy the more expensive local products. Instead of going to the local farmer’s market, they shop at Walmart. When prices rise, this group will first stop buying non essentials (Chinese made electronics) then cut down on non food essentials (Chinese made clothing). What they won’t do is switch to domestic products unless these products can somehow be made for the same price. If that was possible, why hasn’t it happened already? Why go through the trouble of opening up plants in China if all you had to do is open them down the road? The resulting lower profits will result in lower demand for labor, read “job cuts or lower wages” which will push demand even lower. Another huge advantage Chinese manufacturers have over the US is flexibility. If demand is higher than expected, they can quickly build additional production lines and hire more workers. If it is lower, they can fire those workers just as quickly. Try to do that in a highly unionized economy like the US. War draws nigh. Trump’s ultimate Bright Shiny Thing. John Bolton is sportin’ Wood. “Trade policy?” Meh. We spend more on our military than the next 9 top-spending nations combined. We may be about to learn how little we’re getting for that. Meanwhile, Il Duce Cotton is also sportin’ Wood. US invest in profitable stuff abroad while foreigners to a significant extent invest in negligible yielding treasury bonds. This is going to be a long post, so apologies in advance, but I think it’s important. The issue right now is that there are very real losses in from losing manufacturing leadership. Trump doesn’t want to go where it really hurts – corporate boardrooms and executives. Consumers versus producers. The Anglo-American approach assumes that the ultimate measure of a society is its level of consumption. Competition is good, because it kills off producers whose prices are too high. Killing them off is good, because more-efficient suppliers will give the consumer a better deal. Foreign trade is very good, because it means that the most efficient suppliers in the whole world will be able to compete. It doesn’t even matter why competitors are willing to sell for less. They may really be more efficient; they may be determined to dump their goods for reasons of their own. In either case the consumer is better off. He has the ton of steel, the cask of wine, or—in today’s terms—the car or computer that he might have bought from a domestic manufacturer, plus the money he saved by buying foreign goods. In the Friedrich List view, this logic leads to false conclusions. In the long run, List argued, a society’s well-being and its overall wealth are determined not by what the society can buy but by what it can make. This is the corollary of the familiar argument about foreign aid: Give a man a fish and you feed him for a day. Teach him how to fish and you feed him for his life. Consider a nation that is rich in natural resources, but poor in technical expertise. A real world example may be Saudi Arabia, and they realize this weak point (to an extent) so they have made attempts to solve it. They can buy a lot, but they are totally dependent too on the other nation. The US is heading in that direction. In material terms a society’s wealth over the long run is greater if that society also controls advanced activities. That is, if you buy the ton of steel or cask of wine at bargain rates this year, you are better off, as a consumer, right away. But over ten years, or fifty, you and your children may be stronger as both consumers and producers if you learn how to make the steel and wine yourself. If you can make steel rather than just being able to buy it, you’ll be better able to make machine tools. If you’re able to make machine tools, you’ll be better able to make engines, robots, airplanes. If you’re able to make engines and robots and airplanes, your children and grandchildren will be more likely to make advanced products and earn high incomes in the decades ahead. The German school argued that emphasizing consumption would eventually be self-defeating. It would bias the system away from wealth creation—and ultimately make it impossible to consume as much. Ultimately the issue is that the US is losing national wealth. Trump will likely make the US worse off by a great deal, but that does not mean that running trade deficits is a good thing. The US does not know how to make many of the most advanced technologies today. For example, the displays that power your computer or phone are made in South Korea, Taiwan, or possibly Japan most likely. China is likely to be a big player someday. In other words, I think there is a point in tariffs, but only for consumer goods. Capital goods should be allowed in (to improve productivity) and even subsidized. The irony of course is that many neocons wanted a war with China (possibly over Taiwan). That’s crazy for a number of reasons, but one thing to consider – the US no longer has the massive advantage in manufacturing output like it did during say, the Korean War. Neoliberal economics only made it worse. Process versus result. In economics and politics alike the Anglo-American theory emphasizes how the game is played, not who wins or loses. If the rules are fair, then the best candidate will win. If you want better politics or a stronger economy, you should concentrate on reforming the rules by which political and economic struggles are waged. The German view is more paternalistic. People might not automatically choose the best society or the best use of their money. The state, therefore, must be concerned with both the process and the result. Expressing an Asian variant of the German view, the sociologist Ronald Dore has written that the Japanese—”like all good Confucianists”—believe that “you cannot get a decent, moral society, not even an efficient society, simply out of the mechanisms of the market powered by the motivational fuel of self-interest.” So, in different words, said Friedrich List. Here is where the Anglo “model” has failed. It’s not free markets the capitalists are after – it is their ability to rent seek, cloaked in free market language. In turn they don’t like the government getting involved in “picking winners and losers” as they say (ironically the conservative strategy is a “loser”). In the German view, the answer to this predicament is to pay explicit attention to the welfare of the nation. If a consumer has to pay 10 percent more for a product made by his neighbors than for one from overseas, it will be worse for him in the short run. But in the long run, and in the broadest definitions of well-being, he might be better off. The same spirit and logic run through List’s arguments. Trade is not just a game. Over the long sweep of history some nations lose independence and control of their destiny if they fall behind in trade. Therefore nations must think about it strategically, not just as a matter of where they can buy the cheapest shirt this week. I think that the brutal reality is that the US has been sold out by its corporate executives. A case could be made that the upper middle class too has betrayed the bottom 80% of AMericans. Manufacturing is where the innovation happens. Your computer, even the clothes you wear, and pretty much everything you use is a result of manufacturing. While Trump’s strategy is likely doomed to fail and he will leave the American people worse off, his points about Americans losing on trade I think are valid. This is happening at a time when corporations have record profits. They are instead using it to buy back stock (really boost executive compensation). They could have for many years opted to invest. They are rent seekers. Likewise, this whole privatization of government services is so that the corporations can rent seek. So too are other aspects like the real estate industry. The problem is that this will lead the US to become relatively weaker in the coming decades. To be honest, this whole “free trade” and “neoliberalism” business is just intellectual cover for the rich to loot society. Many thanks for reminding me of this important piece (which I read many years ago when I had more hair and less money). On point commentary too, cheers. The issue is that Trump has no plan to build up a domestic manufacturing industry. It would be a project that took perhaps 20 years, maybe more. The tariffs without the domestic industry having a competitive manufacturing sector assures rent seeking. Plus we would need a new generation of senior management that wanted to do good for society and not use the corporations to extract rent from society to maximize executive compensation. Apart from the economic reality that Michael Hudson describes, there are a few psychological realities to deal with as well. Even if Trump’s trade war succeeds in making Chinese products much more expensive in the US, it will be very hard to manufacture the same products domestically, simply because no American worker will accept the low wages and long hours that Chinese will accept. If the cost of manufacturing becomes too high, either because of tariffs or because of more expensive domestic labor American companies will simply leave the market. Imagine Walmart going out of business and the disruption that will cause. Meanwhile the rest of the world will simply keep trading. Besides a vastly improved infrastructure, China has a huge,highly educated workforce that is most importantly extremely disciplined. Most Chinese grew up in a one party system that controls every aspect of society to parents that are most of the time extremely demanding. Individual freedom is a completely new concept for most Chinese. Americans are brought up with the idea that individual freedom comes first and that society is divided between winners and losers. Trump plays heavily on that sentiment and hopes that by turning the rest of the world into “losers” America will automatically become a “winner”. What’s the real difference? Its just the opposite ends of the same stick. GDP are usually expressed by the user side but can also be expressed by the production side. Economics are about “housekeeping” with available real resources. When you consume more than you produce it’s a gain. But the question is how you pay for it. Just as the opposite, you produce more than you consume, what do you gain? What does the real future claim you get? A fiat-dollar created out of thin air? Accompanied with a global “police-force”. US only operate in USD, which its monopoly producer of. But despite this, in times of crisis money seeks safety in USD, despite that financial market very well know USD are a fiat-currency, .but they also know that it’s the key point of “safety”, US can always pay it’s obligations in USD, it can be created out of thin air. If the present global order are working. If not, it will be TEOTWAWKI. But of course, a stark difference for small countries that must borrow someone else’s international valid currency to have a CC deficit. If US was to run CC/trade surplus, what would be the future claim on the deficit countries be? A pile of Yuan? Or as after WWII it had to supply them with USD that US could “ern”? But probably a bad economic policy in the long run to abandon essential productive competence and knowledge. It will make you weaker. US today are like the Roman empire that taxed the periphery’s real production for consumption in the center. Today its more elaborate with financial smoke screens but essential the same. Question to the commentariat and/or Prof Hudson: when it comes to trade, are there goods sources that give visibility to being able to “follow the money”? – For instance, if we wanted to see repatriation of profits to the US from China, where would we go to see that? – similarly for FDI (foreign direct investment) by China in the US? IMF has their CDIS data: http://data.imf.org/regular.aspx?key=60587810 . But their numbers show China pales in comparison to other countries, which doesn’t ring true. Also, it doesn’t seem to reflect the PBoC’s huge treasury holdings (next bullet). – FDI by the PBoC is easier to see when it comes to US treasuries. E.g. http://ticdata.treasury.gov/Publish/mfh.txt . Which has pretty much maxed out. But I’m still wondering if the PBoC engages in FDI through other assets, e.g. MBSs. E.g. in 2008/2009, I remember hearing that the US went out of its way to tell China that the US would “insure” that the MBSs they held didn’t go bad. I’m presuming that was outreach to the PBoC in particular. But I haven’t been able to find something which shows FDI by the PBoC outside of US treasuries. – presumably there’s some bleed off, China swapping US dollars to other countries for their goods, say other countries that need US dollars to repatriate debt to the US, debt that’s denominated in US dollars. I would imagine this is better shown at an aggregate level of world trade, to see how it balances out overall. – the rest should be repatriation of US dollars for goods and services from the US. Right? I frequently post this question on Yahoo News commenting section. We send our currency to China for their goods and services. Only some of it comes back for our goods and services. What is happening to the rest of our currency? Not that I expect to get an answer on Yahoo News. But it helps to communicate that we’re not getting the full story when it comes to trade. Anyways, thanks to Prof. Hudson for helping us to answer this!